These days spring is most popular framework in the industry because it has lots of capabilities. Most probably large scale projects are using Spring as DI(Dependency Injection) framework with supporting of AOP(Aspect oriented programming) and Hibernate as ORM(Object relational mapping) framework in their backend. There is another cool feature came along with spring which is provide the MVC(Model View Control) architectural pattern. In this post I’m going to focus on the spring MVC, DI, AOP. I’m not going to explain the hibernate mappings because it is in another context. 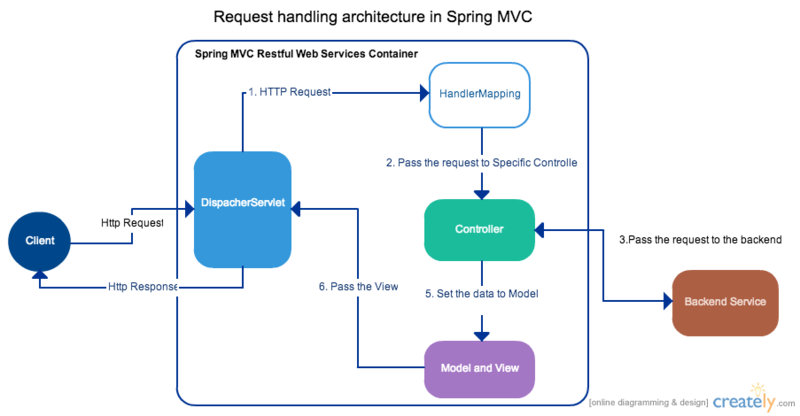 Lets look at the spring MVC request handling architecture. In the above diagram you can see there is controller class which is responsible for the request mediation. As a good practice we are not writing any business logic on this controller. Spring MVC is front end architecture and we have to have the layered architecture to separate the logic by concern. So thats why we use the backend service which is provide the business logic. I have created layers by separating the concerns. First look at the Model class Customer. This class is the one going to map with the DB table. In each layer we need to have interfaces which is provided the functionality and the concert implementation classes. So we have CustomerDAO Interface and CustomerDAOImpl class as follows. If we are using the hibernate we have to have start the transaction before each operation and commit the transaction after the work done. If we are not doing these things our data is not going to persist in DB. But you can see I have not started transaction in explicitly. This is the point that AOP come to the picture. Lets look at the service layer you can see I have declare the @Transactional annotation. That means I wanted to start the transaction before going to execute the operations. This transaction handling mechanism is going to handle by the Spring frame work. We don’t want to worry about that. Only we need to concern about the spring configurations. 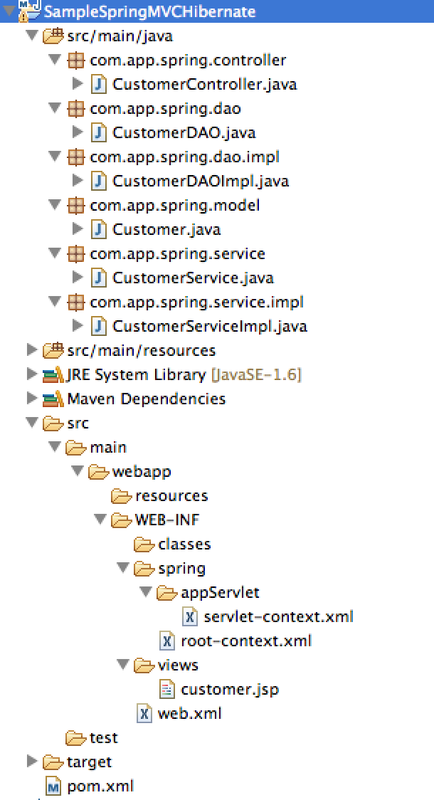 Now lock at the servlet-context.xml this file is the most important part in the spring framework. Look at the following two three lines. We are going to discuss about the dependency injection. In our CustomerDAOImpl class we have the reference of sessionFactory but we are not creating any instance of session factory rather having setter method for that. So that means some how we need to pass the reference to initiate the session factory. To archive that task we need to say that spring framework to create the instance of sessionFactory. If you follow the configuration above you can see how I declared that. Another thing is if you declare something as property that means it is going to inject the instance by using setter method and you have to have setter method for that particular reference (Go and see the CustomerDAOImpl class). Lets look at CustomerServiceImpl class, I have declare the CustomerDAO reference with the setter method. So that means we can inject the CuatomerDAOImpl reference same procedure as we did for the CustomerDAOImpl class. It is really easy but you have to set the configuration properly. You have to set the context configuration as follows. Now I’m going to talk about MVC configuration. Look at controller class. I have declare the request mappings by using the annotation @RequestMapping. This is how we redirect the request to the particular service which is backing on service layer. Then we need to inject the data to the model and send that model to the view. You can see in our project structure we have customer.jsp on /WEB-INF/views folder. We need to let the view resolver to know that our views are located at this folder. That is why we are doing the following configuration. 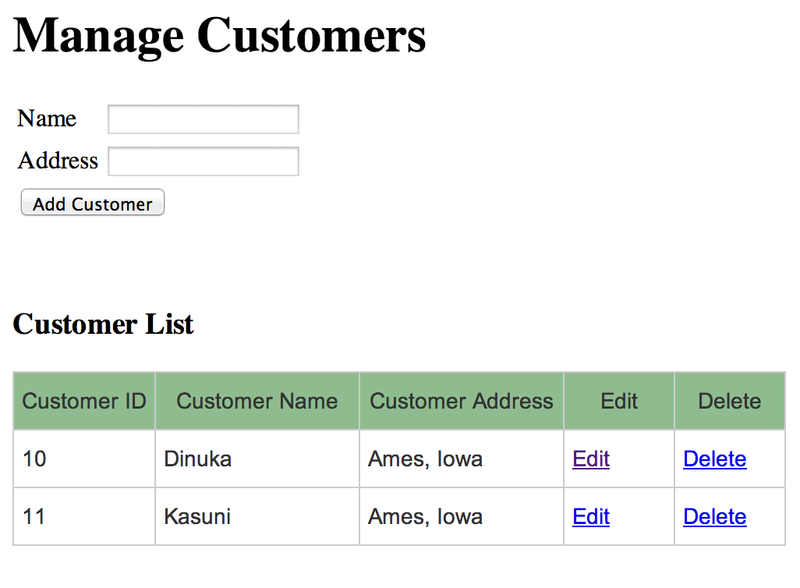 See the CustomerController class that I have return the string like “customer”. Once I return the string “customer” spring frame work knows it is a view name. Then it will pic the view as follows according to the configuration. Finally I have used the JSTL tags, spring core and spring form tags in customer.jsp to represent the data came from model class. 3. Configuration and code is separate. 4. Using configuration, a different implementation can be supplied without changing the dependent code. 5. Testing can be performed using mock objects. 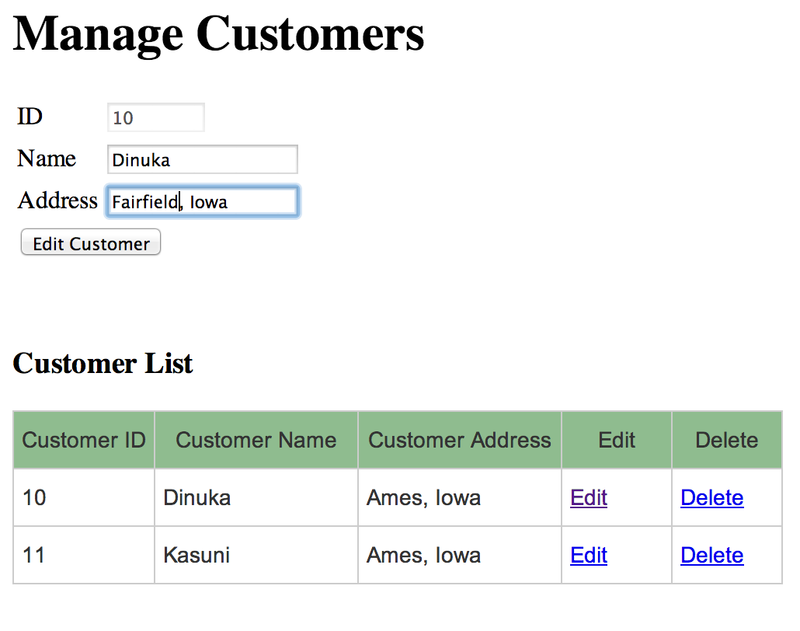 1. Business code access objects rather than DB tables. 2. 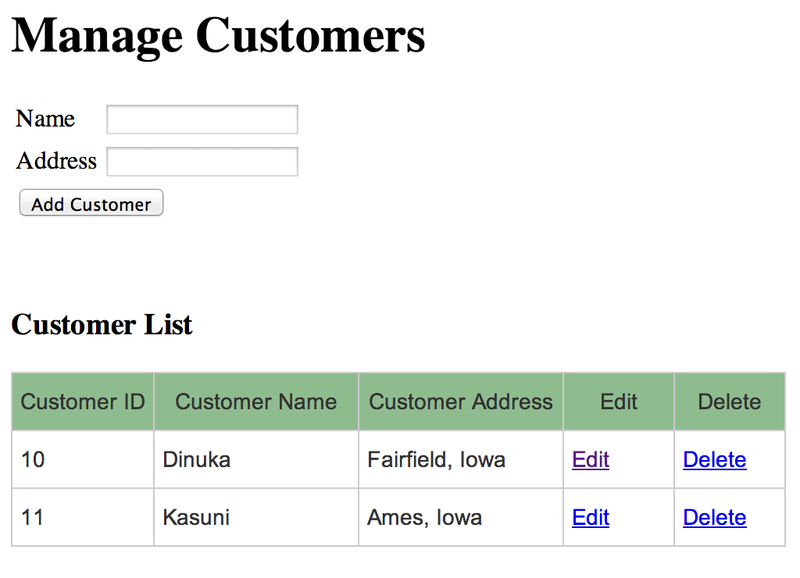 Hides details of SQL queries from OO logic. 4. No need to play with database implementation. 5. Transaction management and automatic key generation. 6. Fast development of application. I hope you got the idea about how spring framework is working.